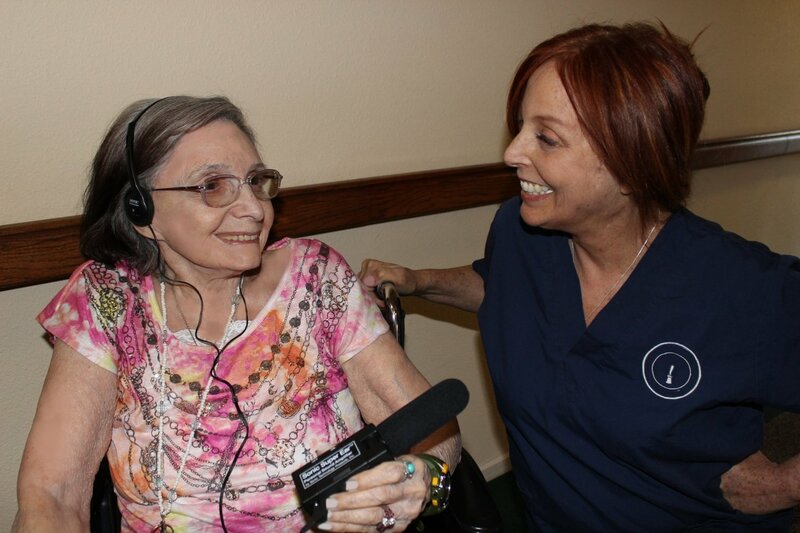 If you are looking for a slightly different type of hearing device, the SuperEar Personal Sound Amplifier Model SE4000 Single Unit is a great option. It looks a bit different from any other devices and works in a slightly different way. 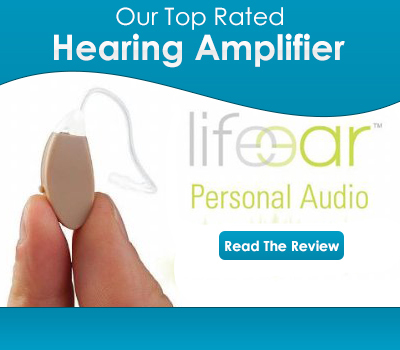 This hearing amplifier works differently from many others on the market. If you have tried in ear devices and not found them suitable for you the SuperEar may well be the solution. How Does the Super Ear Amplifier Work? This is not an in ear device. The user wears a set of headphones, and holds a microphone or lies it down somewhere close by. A lead runs from each earpiece to the powerful Omni-directional microphone. Headphones are far more comfortable than in ear devices. Many users struggle to find an earpiece that sits comfortably in their ears. Modern earpieces are much better than their predecessors were. Most retailers now provide two or three different types of earpieces, but despite this some people simply cannot bear having something sitting in their ear all day. Because you do not have to put anything in your ears this kind of hearing aid is more sanitary. If you suffer from ear infections or have waxy ears this can be an important consideration. The other issue many users struggle with is that most modern amplifiers are very small. Naturally, they like the fact they are discreet, but someone with arthritis and poor eyesight can struggle to get them in and out of their ears. Headphones are a much easier option for people with these issues. If you have shaky hands, this format can also be good for you. A handheld microphone may not at first glance sound like much of an advantage. However, it really is. It gives the user the chance to change the location of the microphone to pick up the sound of what they are trying to listen to properly. With this particular model, you do not have to hold the microphone because it comes with two types of clips, which you can use to attach the microphone to a belt or piece of clothing. Unusually this hearing device uses standard AAA batteries. These are far less fiddly to change than the flat batteries you get with most other hearing aids. They are easy to find and buy. Every corner store stocks them. If you cannot get out to the shops easily this is an important consideration because anyone can pick up a pack of batteries for you. This headphone amplifier is one of the cheapest we have ever come across. Costing around $35 it is within most people’s budget. OK those are the advantages, what about the disadvantages? Well fortunately, there are not many, but nonetheless they are important, which is why we list them below. In comparison to other forms of hearing amplifiers these sound amplification headphones are quite bulky. However, they are not so big that they cannot be slipped into a handbag. Some users said that this device picked up too much background noise. However, our research shows that this can be an issue with hearing amplifiers in general. Most are built to amplify all sound to the same degree, so hearing everything louder while wearing one can be an issue. Many people eventually learn to filter out background noise, but it is not possible for everyone. This product has been available for more than 30 years, which is a sign of just what a useful product it is. Naturally, that means there are plenty of reviews out there, so it was easy for us to get a good sense of just how good this sound amplifier really was. Here is what we found out. We found most of the reviews on Amazon.com. On that site, the product had a score of four out of five stars. Two thirds of users marked it as four or five. However, there were some one star reviews too. Out of 321 reviews there were 37 one star ratings. It seems those who did not like the product really did not like it. However, the vast majority of users were more than happy with their device. It did what they wanted and was durable. Many users bought more than one, and were long-term users. This hearing amplifier is only available online. However, you can buy it in several places. We recommend doing so via Amazon –Click here to go there now. Usually the price on that site is good and you can use the reviews to check how good the supplier’s delivery service is. Is the SE 4000 Superear suitable for an elderly person with 2 hearing aids? would the SE 4000 Superear be suitable for an elderly person with 2 hearing aids? Can I find this product’s in south African capital citie Pretoria/tshwane ?